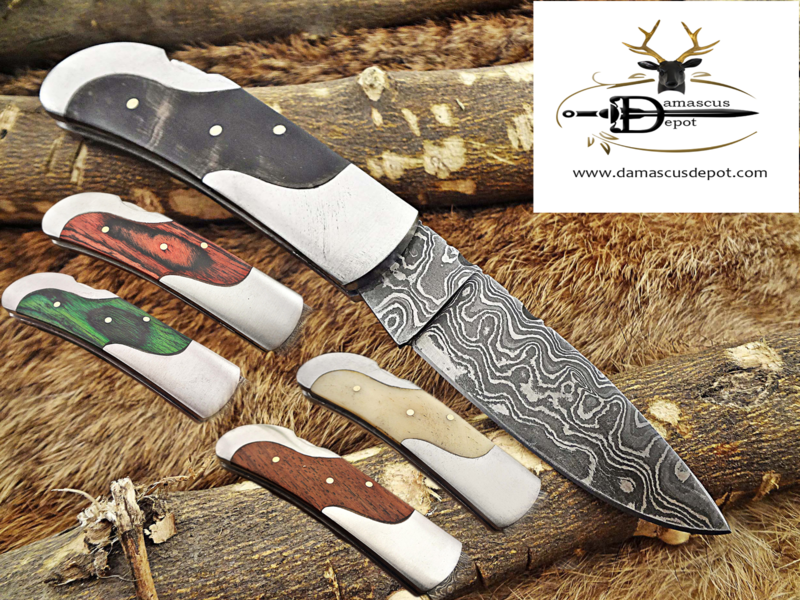 7.5″ Damascus steel Karambit folding knife, Black, white and green colors scales with finger hole, Cow Leather sheath included – Damacus Depot, Inc.
3.5 Inches long Twist pattern Damascus steel blade. 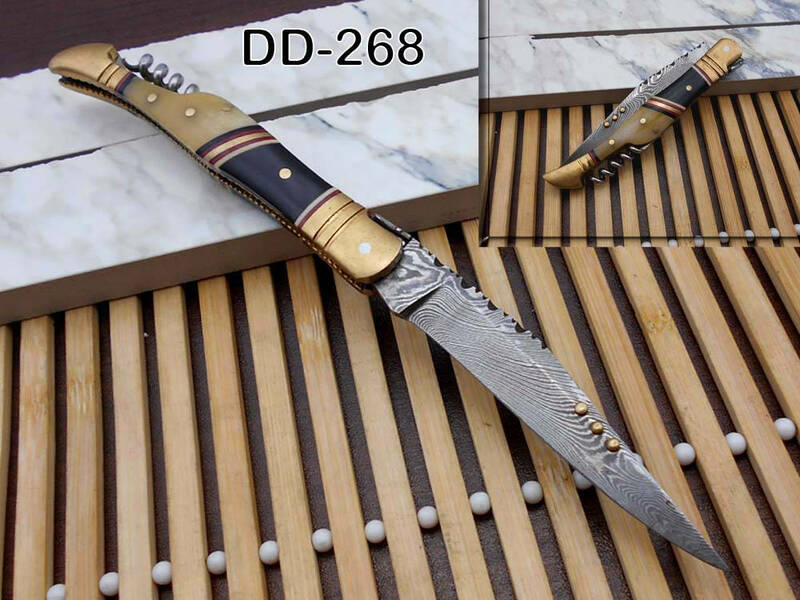 Available in White Camel bone, Green wood and Black Bull horn scale with Bolster. Finger hole Scale is Bling with 4 screws for extra strength. 4 Inches folded length. 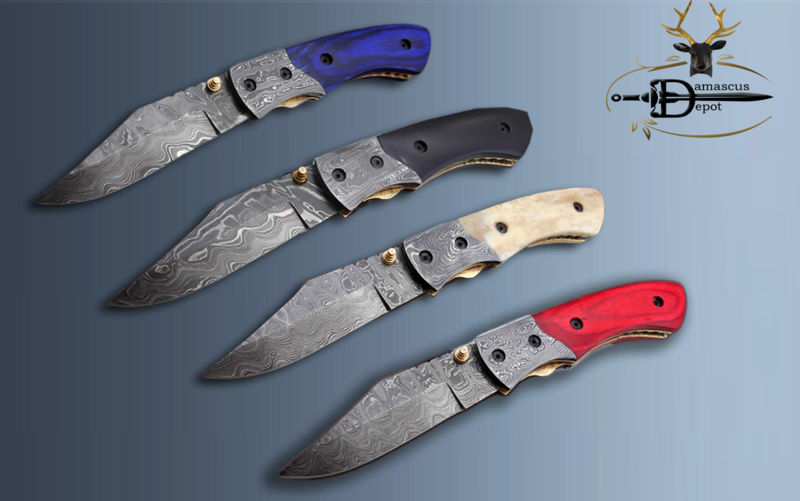 Up to the standards of pocket knife, camping knife, personalize knife. Comes with a fine quality extra thick cow hide leather sheath. 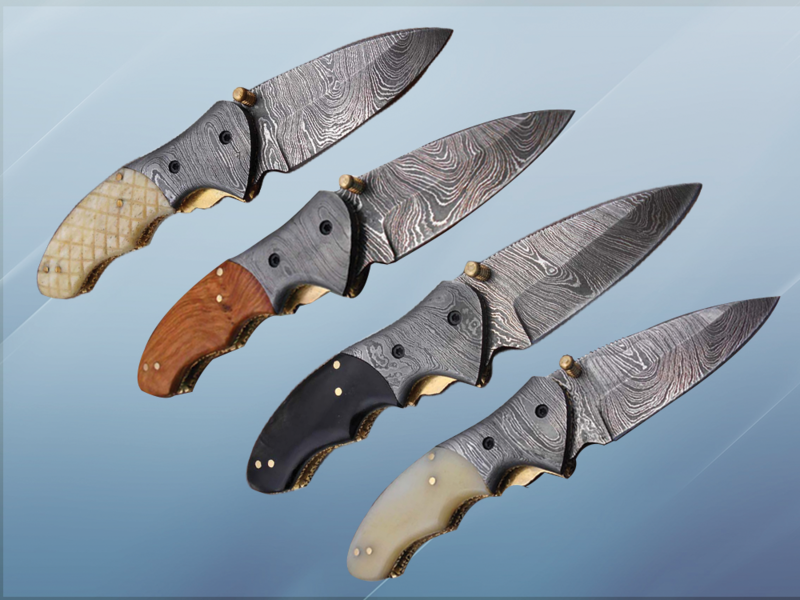 Blade is made of Damascus steel by forging the 1095 and 15N20 high and low carbon steel with hundreds of layers folded.